This shirt is from Woot (surprise, surprise)! This is a nice mashup of Star Wars and Star Trek. We are fans of both, although I favor The Trek a bit more. 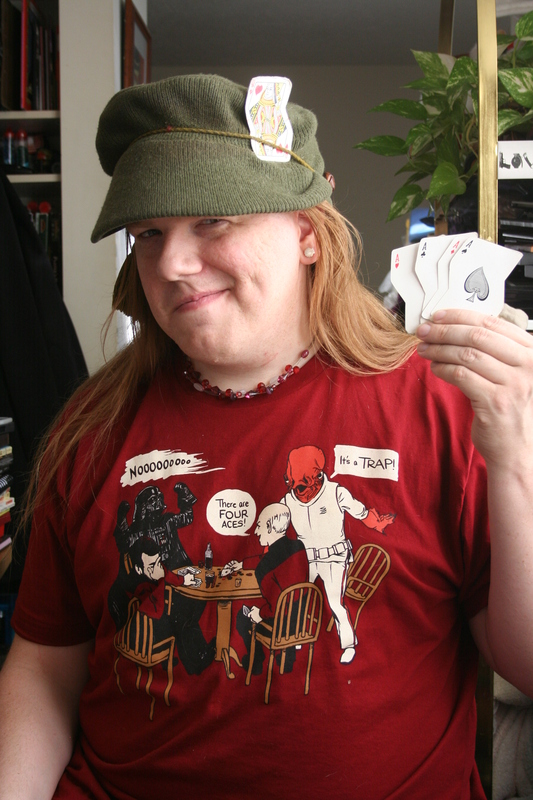 But seriously, if you know Skotte, you know he LOVES games of all kinds. This shirt was an immediate YES PLEASE!